Chicken three different ways for dinner! 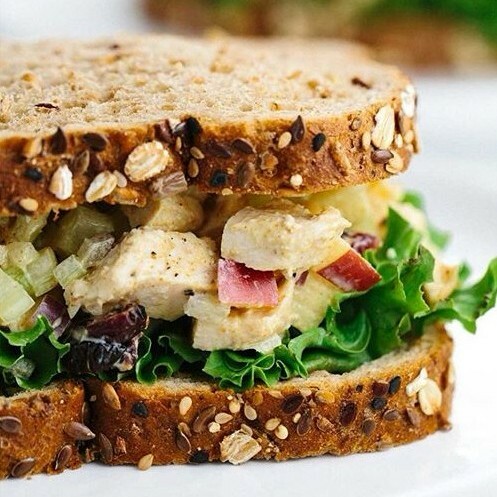 Our thoughts are you can never have too many good chicken recipes, so we put that theory to work in this week's meal plan. This week's plan relies on leftovers to keep things quick and easy, and offers variety by way of fresh fish and shrimp. This meal plan will feed 4 people, but feel free to scale up or down and needed. 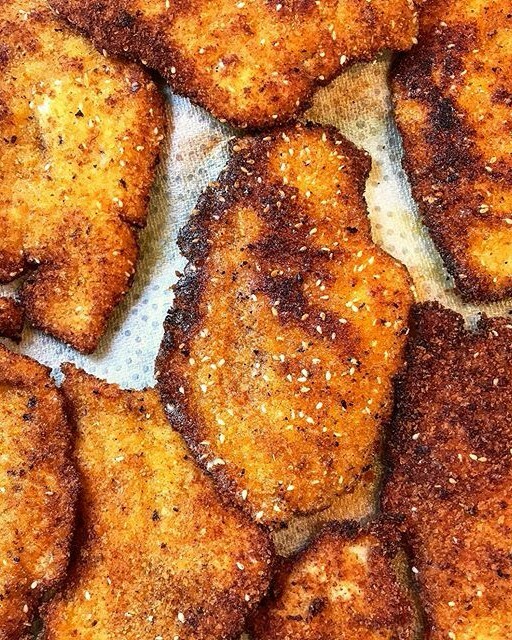 Using a mix of regular and panko breadcrumbs will ensure perfectly crisp schnitzel. We suggest making a few extra chicken cutlets to use on top of salad tomorrow evening, which have been accounted for in the ingredient list. 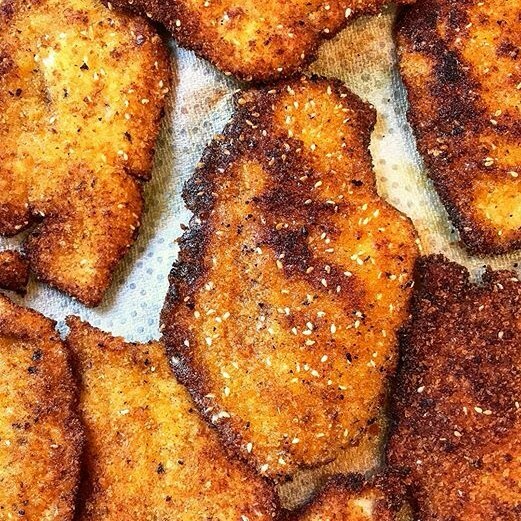 Feedfeed Tip Even if you buy chicken cutlets from the store, they may not be thin enough to make juicy pan-fried chicken cutlets. Thin them out by pounding with a meat mallet. Place the chicken between two sheets of plastic wrap coated with a bit of canola oil, which will help to keep the chicken from tearing. Use your leftover chicken cutlets here, or just use the blackened shrimp as your protein for the evening. Feedfeed Tip Have trouble peeling hard boiled eggs? Once they are cooked, be sure to shock them in ice water to stop the cooking. Once cool enough to handle, tap the wider bottom of the egg on a flat surface to loosen the shell, then peel the egg in a bowl of room temperature water. The water will help to separate the egg membrane from the shell. 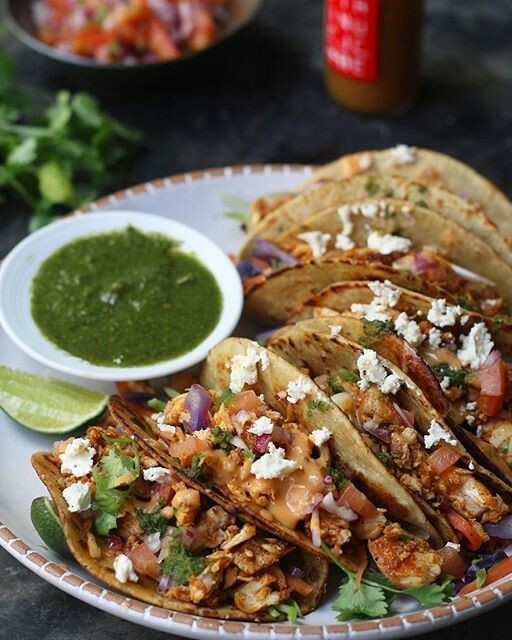 Once the ingredients are prepped, these easy fish tacos will cook in less than 6 minutes. Need an easy vegetarian entree? Look no further than this quick an easy eggplant dish. Add cooked chickpeas to the lentil salad if you're craving extra plant-based protein. 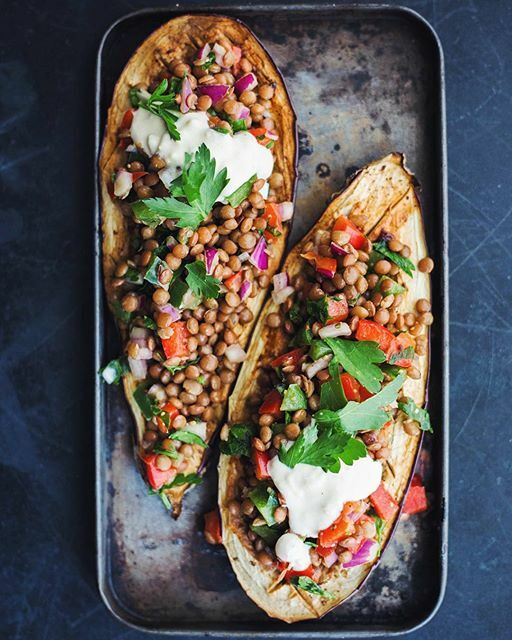 Feedfeed Tip Score the eggplant flesh in a cross-hatch pattern by cutting deep into the flesh with a knife, but not through the skin; this will help the eggplant flesh to crisp and will prevent it from soaking up too much oil. Make a few extra chicken thighs (which we've accounted for in the ingredient list) so you can reinvent them tomorrow for dinner. This recipe calls for frozen brown rice, which is a great hack for quick weeknight cooking. Feedfeed Tip Be sure to toast your curry powder in oil before adding the coconut milk to draw out the aroma and flavor. 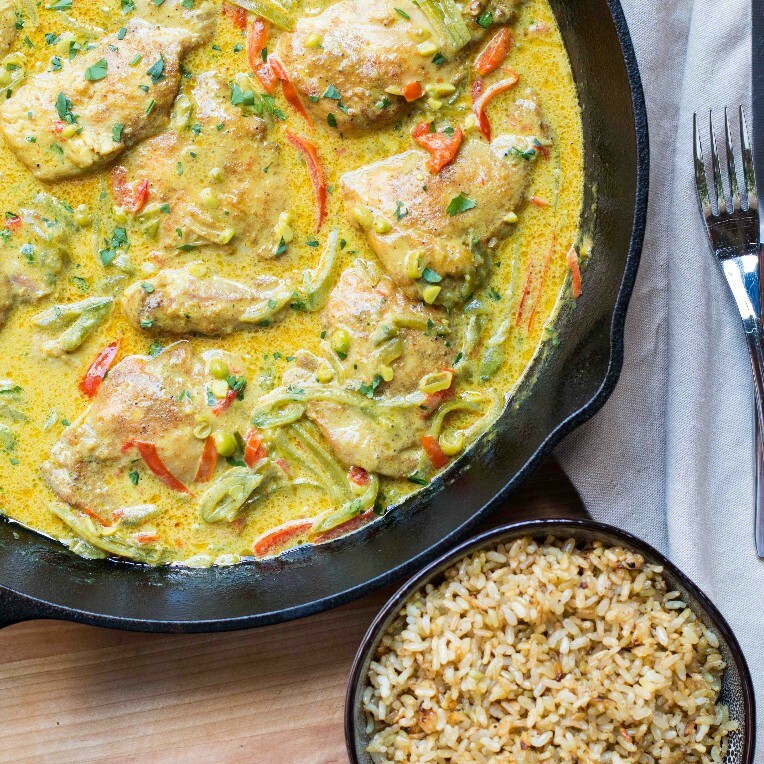 Replace the chicken called for this this recipe with the leftover curried chicken thighs. 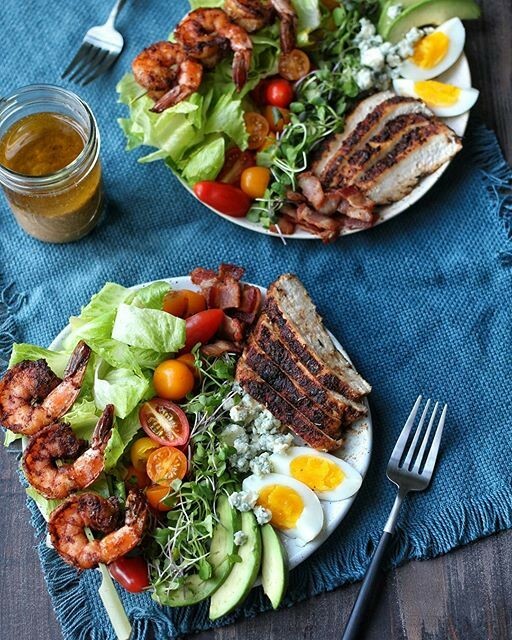 We think these sandwiches are best served on brioche rolls with crispy green leaf lettuce, but if you are looking for a low carb option, serve them in lettuce cups instead. 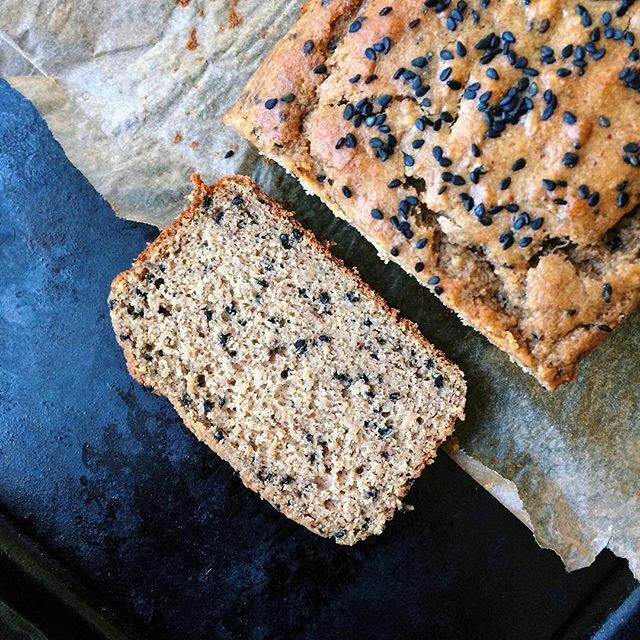 You'll have tahini, yogurt and black sesame seeds on hand from your week of cooking so reward yourself with a loaf of this slightly savory and just sweet enough banana bread. Feedfeed Tip Bananas not quite as ripe as you'd like? Roast them in the oven before baking to concentrate the flavors and bring out the natural sugars. Just place whole bananas on a parchment lined sheet pan and roast in a 300˚F oven for about 10-15 minutes.